Marti’s warning at the 1891 International Monetary Conference. José Martí was the Uruguay representative at the International Monetary Conference that took place under the auspices of the US government from 7 January to 8 April 1891 in Washington. The overriding objective of this conference was to set up a Union of Latin American Nations under US control and to guarantee the superiority of the US economy and trade, and thus, US’s political supremacy. The International Monetary Conference claimed, above all, to establish an International American Monetary Union and to include silver as a reserve. This should guarantee the financial superiority of the United States which had huge reserves of this metal. That meeting was followed up by the Pan-American Conference. This took place in Washington from 2 October 1889 to 19 April 1890 and most Latin American states took part. James Gillespie Blaine, the Secretary of State and an advocate of the Monroe Doctrine sponsored the meeting. He considered “the annexation of trade”, as a valid alternative to controlling the countries in the region. This was a covert principle of his policy and contributed to the wide-ranging imperial strategy at the wake of the new 20th century that unfolded under the doctrine of Pan-Americanism. 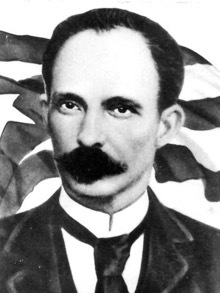 At the end of 1890, José Martí, as the Uruguayan Consul in New York, received instructions from the Uruguayan government to represent it at the International Monetary Conference. Marti was instructed that the necessary documents would be sent by mail. However, these did not arrive. Even though Marti undertook much paperwork to resolve the problem, he was not allowed to participate in the first meeting of the Conference. There are grounds to think that this delay was a ruse Blaine himself concocted to block or make impossible Marti’s appointment, because of Marti’s well-known anti-imperialist positions voiced in the contemporary press. Despite this, our Master actively participated in the 8 discussion sessions, developed an intense reflection in the different committees and continued reporting the continental public opinion of the dangers of such a close alliance with the United States, an activity that he carried out from 1889, when he wrote for the press about the aforementioned Pan-American Conference. “there has never been in America, from Independence to now, a matter that requires clearer thinking, greater vigilance and a clearer and more meticulous examination, than the invitation that the powerful United States, saturated with products that cannot be sold and determined to extend its stronghold in America, is extending to the less powerful nations in America. The latter are connected to the European people by free trade and profit. [The US wants] to negotiate a league against Europe and to put an end to treaties with the rest of the world”. The Latin American delegates at the International Monetary Conference chose Marti to draft and present the Final Report of 30 March 1891. He read it in English and Spanish, representing the Commission appointed to study the propositions of the Union. Marti’s document rejected the US proposal to use a currency under US control. With a high level of analysis, he defers his final study to an international monetary conference to “take place in London or Paris” to study, “the relationship of silver and gold and the universal assimilation and international legal circulation of different currencies”. In this way, the US intentions to establish financial control in the region as an important step to recognize the neo-colonial model in Our America, were thwarted in the diplomatic field. The battle Marti waged within the International Monetary Conference itself and through his journalistic works and policies, laid bare the imperialist aspirations hidden under a cloak of alleged economic integration of the Americas confronted by a powerful Europe. Thus the revelation that it was only possible through the diplomatic and political geniality of the Apostle and his own unblemished life in defense of the Spanish people that he set the beginnings of the birth of an anti imperialist conscience in the region. Today these are postulates of enormous validity.